Our students are lean and healthy! For more than a decade we have led the nation with our emphasis on the use of locally-grown, organic, and seasonal produce. 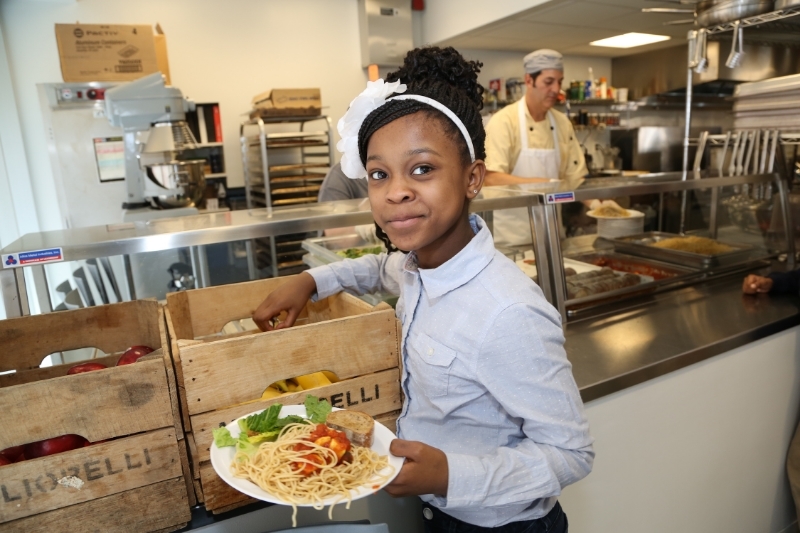 Our school chef, by creating amazing meals while eliminating fatty meats and processed foods from our menu, has helped us create a new generation that is truly fit for leadership! Some of the healthy food served at EHS lunch is actually grown in our own classrooms! In spring 2014, EHS partnered with New York Sun Works, a city non-profit, to retrofit the School's 7thand 8thgrade Science room with hydroponic growing systems and an integrative pest management and seedling station. Teachers now incorporate an interdisciplinary curriculum, and 7thand 8thgraders plant and harvest various produce including green leaf lettuce, red butterhead lettuce, bibb lettuce, arugula, and kale. Students develop a love for nature while learning and gaining nourishment. Literally food for thought!